Daily Debate: Which Character Would You Like To See Make A Return In A Future Zelda Game? A common theme throughout the Zelda series has been the recurrence of many main characters. Obviously Link has taken part in every main title, and there have been many reincarnations of Zelda and Ganon/Ganondorf. Sometimes we get to see other characters like Impa, Beedle, or some king of Hyrule or another. The point is clear; if there is a certain character you like from the Zelda games, there is a chance they will pop up again in a future game. So the question is, which character—or characters—would you like to see in the future? I think it would be interesting to see Koume and Kotake again. They show up in a few games throughout the series, mostly appearing as villains, but in one game actually being quite friendly. 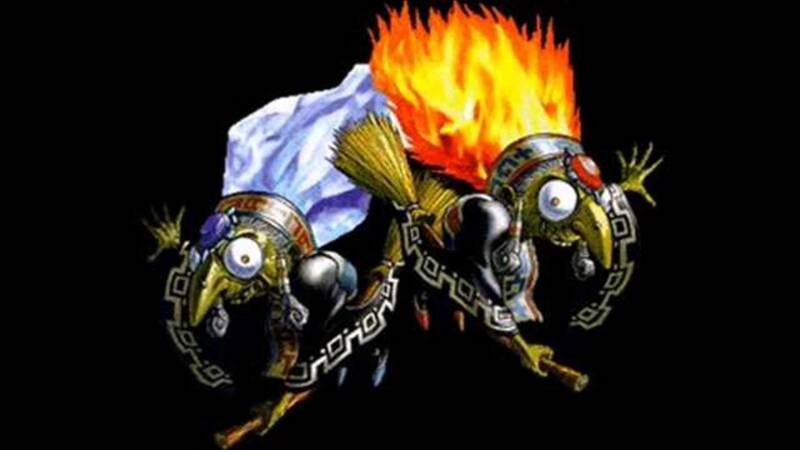 With how much the series and gameplay has progressed since their initial appearances, I think seeing an upgraded version of these two– and even a new boss battle with them– would be both fun and nostalgic. But what about you? They could even be a very minor character you barely happened upon in the series. Who would you like to see make a return in a future Zelda game? Feel free to let us know in the comments!